Medieval Siege Warfare by Christopher Gravett is a break from my usual reviews of fiction. But I'm starting to think about my next novel and, if all goes as planned, this one is going to take place exclusively during a siege. One of the rules I set forth going into this next one is that everything would happen in one place—whether it be one city, town, castle, whatever. No traveling, in other words. In an effort to make sure my bases are covered, I thought a little reading on the subject of sieges was in order. Fortunately, I was able to look no further than my own library where I found Medieval Siege Warfare along with another book entitled Siege: Castles at War by Mark Donnelly and Daniel Diehl (review forthcoming on that one). Medieval Siege Warfare is fairly short, coming in at 64 pages. There are an abundance of pictures, illustrations, and numbered diagrams; the obvious reason for these is to provide a visual for the discussion subjects. In many cases, they helped. The ones I found of most significance were the aerial photos of various castles as these go a long way in impressing upon the reader just how difficult a castle was to capture via siege. The height and thickness of the walls, the strength and defensive position of mural towers, the fact that the defenders were not often idle, leading sorties against the besiegers at every opportunity; all of these factors meant sieges were often a long, drawn out affair where the besiegers best hope was to wait out a castle's defenders until they ran out of water or food. Besiegers often hastened this waiting period by plugging up sewers, doing their best to promote disease within the castle walls by hurling carcasses over the walls, and by cutting off supplies in or out of the fortress. In fact, often diplomacy was the first tactic in any siege. It's an interesting fact that in a feudal system soldiers were only required to serve for forty days before being allowed to return to their fields or craft as the services and goods they provided formed the basis of society. Siege engines, artillery, and the other constructs utilized by besiegers are perhaps one of the most interesting aspects of a siege. Gravett spends some time discussing mantlets (a large shield or portable shelter used for stopping arrows or bullets), belfries (a siege tower; expensive, time-consuming to build), battering rams (up to 60 men swinging it to break stone apart), as well as the three types of (pre-gunpowder) artillery separated by the firing principles of tension (ballista; giant crossbow), torsion (catapult), and counterpoise/weight (trebuchet). 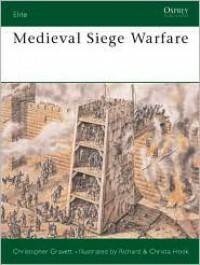 The author also discusses sapping or mining, escalade, where men with ladders attempt to take a fortresses' walls by force, and pyrotechnics, many medieval strongholds and towns being highly susceptible to fire. My overall impression of Medieval Siege Warfare is that it gives a good, high-level overview of the different aspects of a siege. I don't know that you'd be able to go off and write a thesis on the subject based on this work alone, but it's thorough enough to satisfy the layman. The only complaint I have about the book is that there is no index. 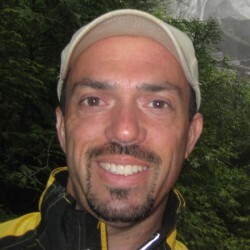 However, it's short enough that finding information isn't all that difficult.